This evening at church we had an unexpected guest. 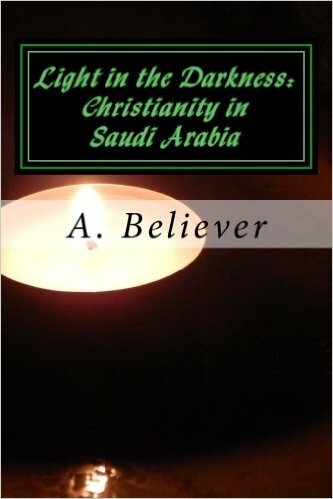 During the service, a young woman (18 years old), came in. She was shivering from the cold and rain, had only very minimal clothing, was obviously high from drugs and was drinking alcohol. ‘N’ was brought up in the care system in Hungary. She repeatedly escaped from children’s homes throughout her years in the system. She began (and continues) to work as a prostitute. Her wish is to go to Austria or Germany and work as a prostitute. How sad to see a child of God so used and abused. How awful to see the horrors she and others have inflicted upon her. Where is God? Where is our loving God to protect ‘N’? It is hard at times to see how God protects and cares for those in most need of his help. Yet today I saw God. I saw him as ‘N’ sat with Sylvia (one of our leaders), who showed ‘N’ such love. I saw God as two of our church members spent 30 minutes cleaning the church and toilets after the service. I saw God as ‘N’ was taken by ambulance and as a church body we came together and prayed for her and the paramedics. Please pray for ‘N’. Pray she will turn to God. Pray she is healed. Pray she will call me (I gave her my business card). Pray. ‘N’ could be your daughter, your sister, your friend. 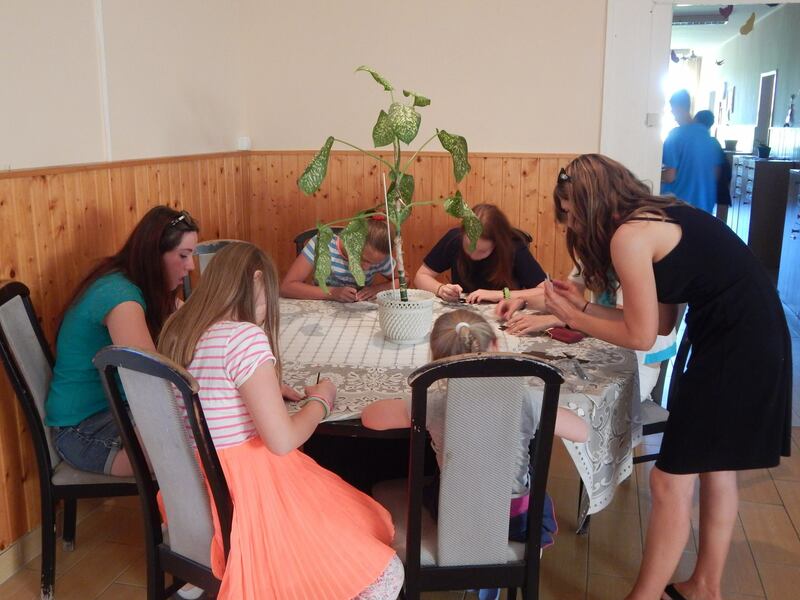 This week we held a three day summer camp at the orphanage in Győr where Kathy ministers on a weekly basis. It was a wonderful time with a real presence of the Holy Spirit. 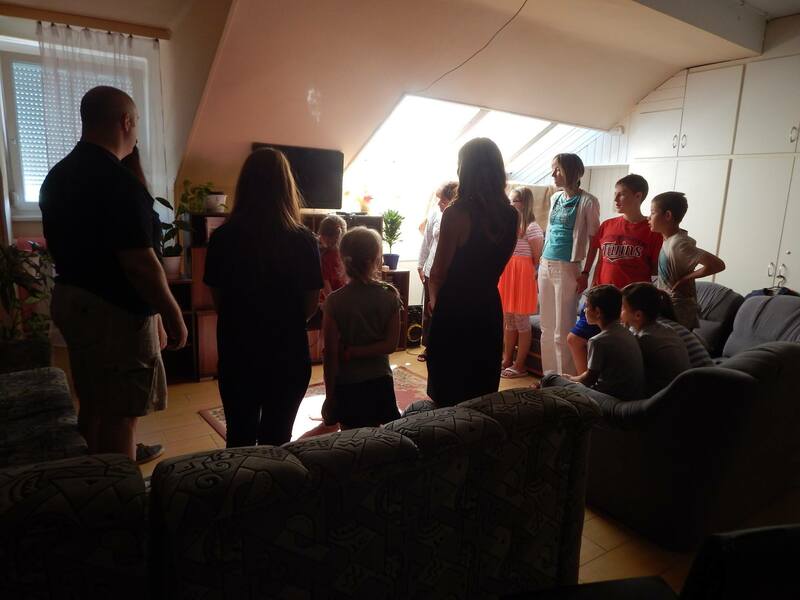 Our friends, Eric, Heidi, Calvin and Muriel Barnes along with another family friend, Kulcsár Nárcisz, ministered to the children in the home. Everyday the children enjoyed worship music, a Bible message based on the superheros of the Bible (Moses, David and Jesus), handcrafts, sports and snacks. 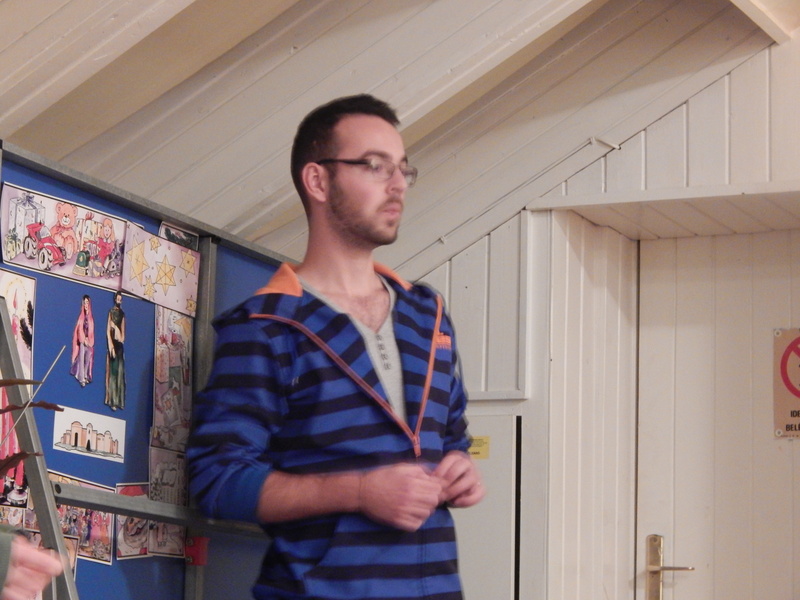 Eric taught the message daily and led the sports with help from Calvin. 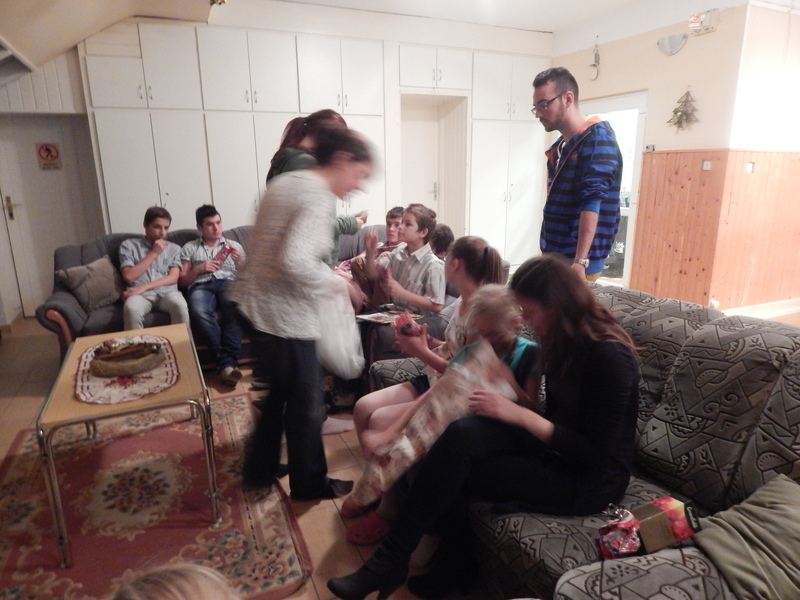 Heidi and Muriel led the handcrafts, Kathy and Nárcisz were the translators and general all around helpers. On the final day (after returning from Ireland), myself, Zsuzsi and Katica helped. We also had pizza on the final day which was a blessing not only to the children but to the carer who therefore didn’t need to cook that day. A great blessing and encouragement was to see how interested and involved the carers were with the camp. In fact one lady came in on her day off for the final day of camp and brought her 24 year old daughter with her! All the kids were given Bibles as a gift on the final day and all the carers were given thank you cards with Bible verses. Please pray that their hearts would be opened to God and that we would see this orphanage become a place where Christ is loved and worshiped! Thank you to all those who prayed and partnered with us. 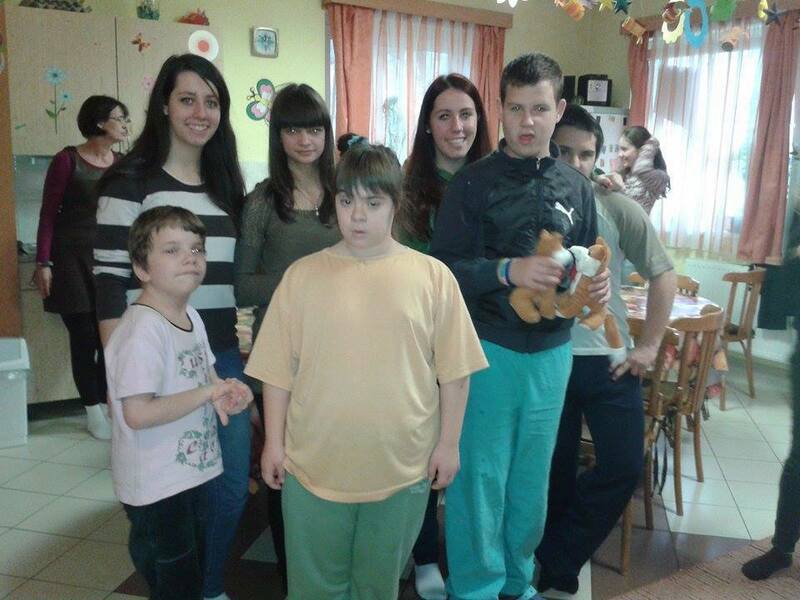 A few weeks ago we had the privilege to go into a home for disabled children. 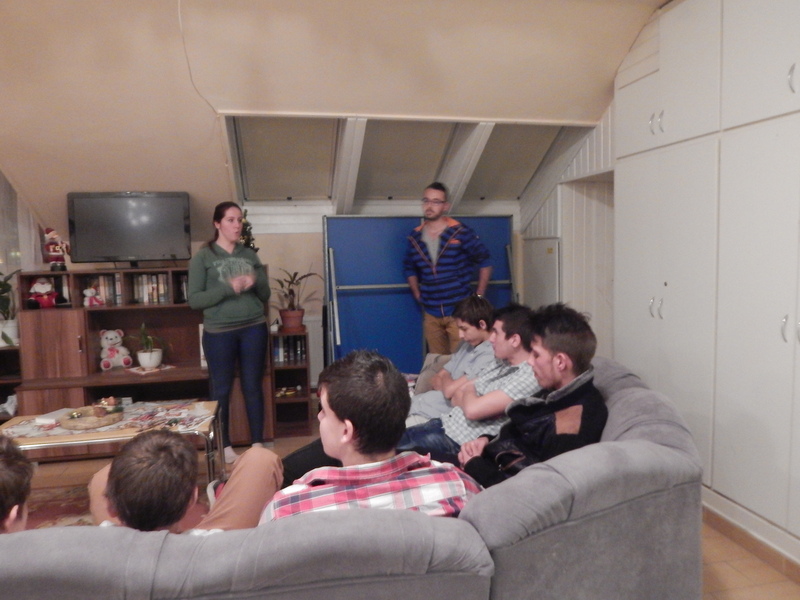 Zsuzsi has been to the home before, it was her teacher that brought a small group of young people, this time Katica and I joined too. It was a rainy Saturday morning but as our car pulled into the parking lot we saw curious faces looking out the window and the kids were waving at us. The excitement continued as we went in, they could not wait to play with us, show us their toys or hug us. Words can not describe the feeling when one or two or three children try to get your attention and want you to spend time with them. Some of them can’t walk, some can’t talk but that did not seem to be a problem when they were playing with us. Please pray for the young people in this home, some go home to their parents at the weekends and holidays, some never do. We are planning to revisit this home soon. If you feel led please donate to this cause. We know that they are always in need of fruit,toiletries, cleaning materials. Zsolti and I (Zsuzsi) are writing the blog today.